Are you self-catering and having a buffet or are you hiring a caterer? Make sure that the occasion is not ruined with a food illness. 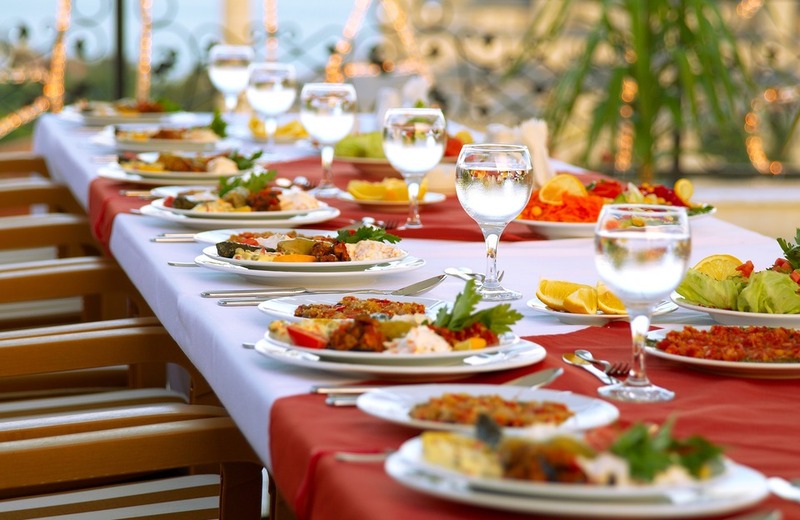 Food safety is a great concern for those preparing and serving the meals for events like weddings. Keeping hot foods at the required serving temperatures and cold foods to keep from spoiling can be achieved through the proper use of proper food safety procedures and techniques. Ask if the staff is trained and educated in food safety. Make sure food handlers have food safety training and the supervisor a food manager certification. Look at the caterer and staff’s clothing and uniforms. Appearance must be clean and long hair must be tied back. Likewise, gloves should be worn by all food handlers. Food Temperatures. It is important to note that all hot foods should be kept above 140˚F and cold food to be kept below 40˚F for food safety. If any of your catered foods falls outside this range for more than two hours, that food needs to be thrown away. Are the staff members certified food handlers? If they are certified, this means the staff is all properly trained on safe food handling. How do you transport food to the venue? You want to ensure cold foods stay cold and hot foods (pre-prepared), stay hot. If caterers transport unsealed food containers in the same compartment, spillage and cross-contamination may occur. Items containing perishable ingredients like beef can spill onto food dishes containing items like rice and potatoes. Caterers should use sealable containers. When/where is the food prepared? If the food is prepared off-site, ensure the caterers safely transport the food. If the food is prepared on-site, ensure the caterers have the appropriate tools they need to prepare and serve the food. Budget conscious couples may choose a venue without a “fully stocked” kitchen. When this happens, communicating this information to the caterer will ensure that they prepare by bringing with multiple knives, serving spoons, cutting boards, and dish towels. 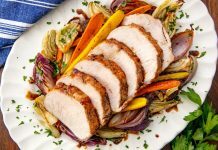 How long after food—especially meat, poultry, seafood and eggs—is cooked is it brought out to guests? Perishable foods should not sit out at room temperature for more than two hours. This will ensure that your guests are served a hot and, more importantly, safe meal. How long does the buffet remain open and how will the caterer avoid the food entering the “danger zone”? 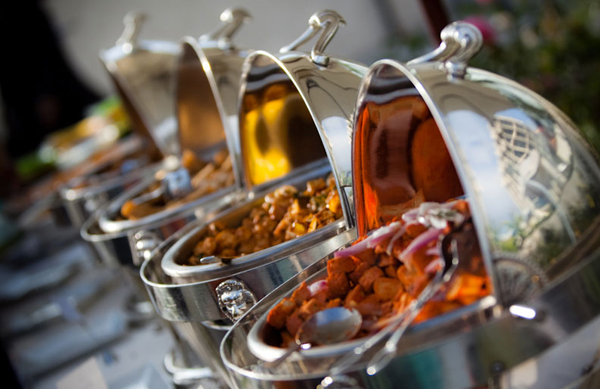 Ask the caterer to provide chafing dishes or warming trays to keep hot foods hot, and ice or other cold source to keep cold foods cold. Otherwise, food may enter the “danger zone,” between 40˚F and 140°F, where bacteria multiply rapidly. Never leave perishable foods in the “danger zone” for more than two hours; one hour in temperatures above 90°F. After two hours, food that has been sitting out should be replaced with fresh food. Are there any potential allergens used in the preparation of the food? You should certainly ask your caterer if there are any allergens in the dishes, including nuts, soy, milk, eggs, wheat and fish/shellfish. If there are, guests should be notified in some way. Do you use a food thermometer to check that food is properly cooked? The answer must be yes! 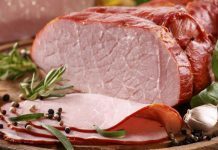 No one (not even a caterer) can tell if meat is properly cooked by its color – they must use a meat thermometer. The FDA code pertaining to heated food stipulates that any food that needs to be reheated much reach an internal temperature of 165˚F for 15 seconds to be considered safe, therefore ensure that foods that were cooked offsite and transported while chilled are preheated accordingly. Consumer information about preparing and serving food for large groups. 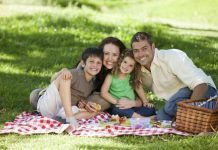 Buffets or picnics can be great ways to serve lots of different, delicious foods to large gatherings of people for special occasions, such as holidays or graduations. But they can also be a means to transmit disease among your guests if care is not taken in how the food is handled. Common foodborne illnesses include norovirus, Salmonella and E. coli. Here are some tips to help you have a SAFE party buffet. A brochure from the USDA designed to help volunteers prepare and serve food safely for large groups such as family reunions, church dinners, and community gatherings. Whether preparing food for a family reunion or a community gathering, people who are great cooks at home don’t necessarily know how to safely prepare and store large quantities of food for large groups. Food that is mishandled can cause foodborne illness. However, by following some simple steps, volunteer cooks can make the event safe and successful! If you plan, prepare or serve food at large events, watch this fifteen minute presentation prepared by University of Minnesota Extension food science educators. You may be a good cook, but cooking for a crowd is different. Protect yourself and the people you feed by learning safe food handling practices for large-volume cooking.